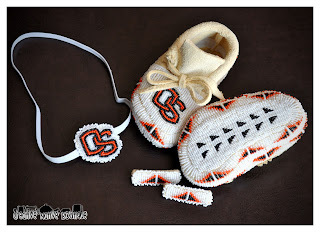 I love the way these custom newborn baby moccasins turned out! 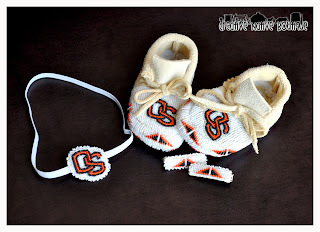 This little Oregon State Fan will be turning heads in these fully beaded baby moccasins! 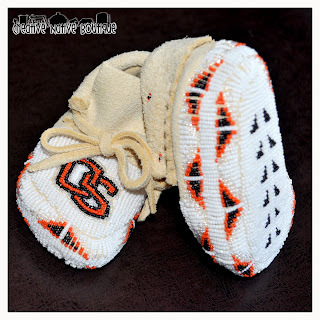 They are fully beaded on the toe and the soles! 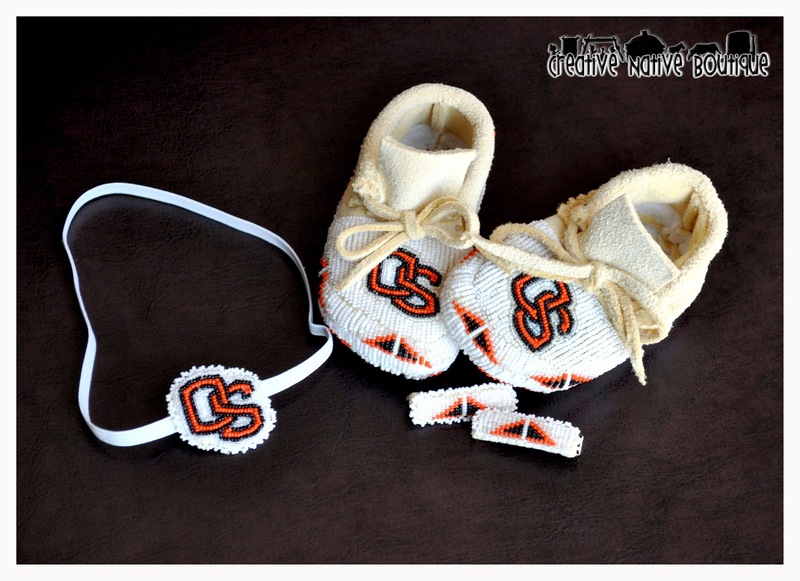 Here is the completed order: Fully beaded moccasins, matching OS headband and barrettes. 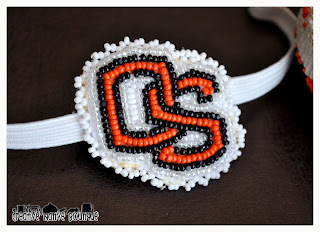 Close-up of the headband. 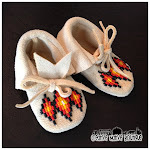 Perfect for that newborn Native baby! 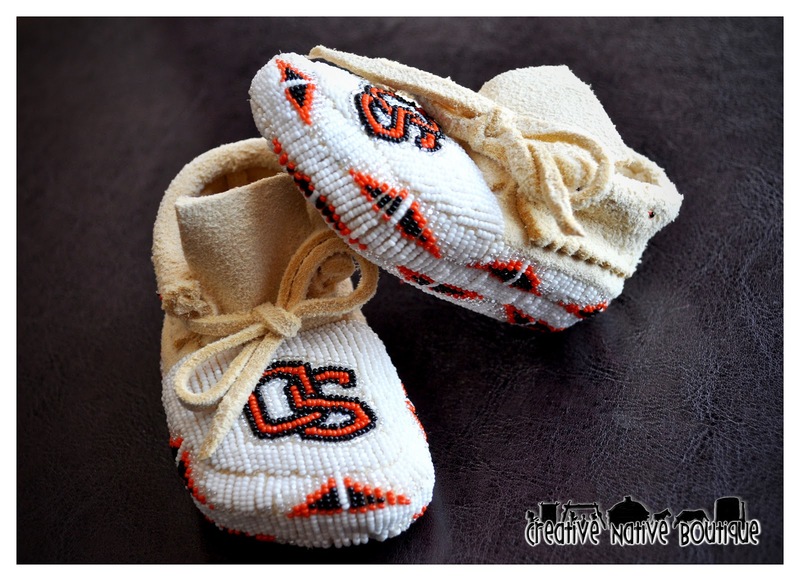 I recently finished these Men's moccasins as a custom order to match his wife's pair that I made a few months back. 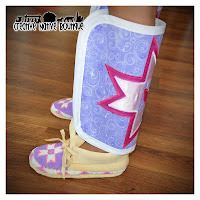 They are a Shoshone design with partial beadwork on the toe. They are a Men's size 12.